While we were in Bail we were lucky enough to stumble across the soft opening of new restaurant, Barbacoa. We met this gorgeous girl at Ku De Ta and she said if we loved food we had to go and check it out. The night we popped in to Barbacoa was by pure accident. It was a very impromptu evening, our first night out in Bali with just the two of us. We hadn’t booked anywhere so we decided to try our luck with a little scoot around town. As it turned out, this was the first place we stumbled across and it was going to be our lucky night. We walked in to what we thought was an already trading restaurant, it was actually a private tasting for the chef and owners family and friends. Whoops! As timing would have it the chef was at the front door when we walked in and politely invited us to come and try his new restaurant (I just love it when a chef is a hands on owner). How could we refuse! It was a set menu that night and as we sat down we couldn’t have been more excited. The décor was funky and modern but still had that rustic, cool Bali feel. The bar is set right down the centre of the restaurant which created a very charismic atmosphere. The cocktails were spot on, some of the best I’ve ever had. The grilled sweet corn with chipotle mayo smoked spice and lime was a taste sensation. The real entertainment was watching the meats slow cooked in a big fire pit. It was tender and oh so tasty. If you’re heading to Bali I couldn’t recommend this place more. Like Barbacoa on Facebook to keep up to date with what’s happening. Foodie Alethia recently visited Barbacoa, and was kind enough to share her experience on her food blog. Go check it out to see the dishes she picked. Thanks Alethia, we hope you had a great Barbacoa experience! 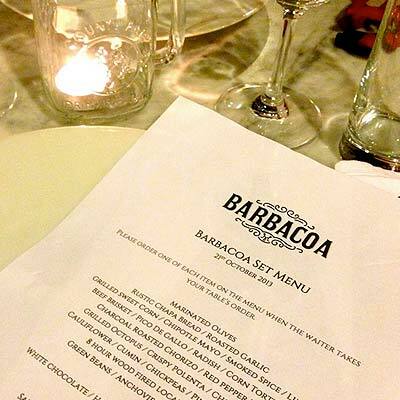 Barbacoa is a new trendy restaurant on Jalan Petitenget. 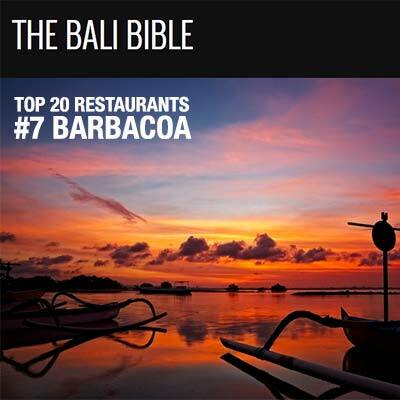 After opening in November they have had brilliant reviews from many critics and fans of The Bali Bible all suggestions it as one of the best restaurants in Bali. With a team of very fresh, innovative and talented chefs at the helm, Barbacoa is defiantely going to inspire and delight many tourists. The star studded partners include Adam Dundas-Taylor (Dundas-Taylor Catering – Bondi) Kieron and Sean Prenter (Mexicano North Narrabeen), Pete Zuttion (Zuttion (clothing) and Zucchini Cafe – Oberoi Bali). 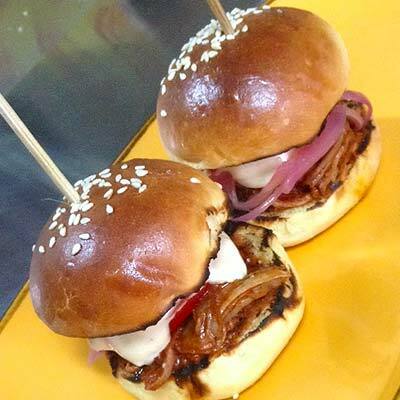 We highly recommend Barbacoa and would strongly recommend all our fans to check it out.